With the end of the first major snowstorm this year, it’s the perfect time to explore different (free!) workout classes in the DMV area this February. Yelp Fit Club will be showcasing DMV fitness classes from boxing to yoga. RSVP to each Yelp Fit Club event for a chance to score a spot for free. Yelp's Fit Club will go to Urban Boxing DC Feb. 6, Solidcore Feb. 13 and the Joy of Motion Dance Center for SASS, a combination jazz class, Feb. 19. 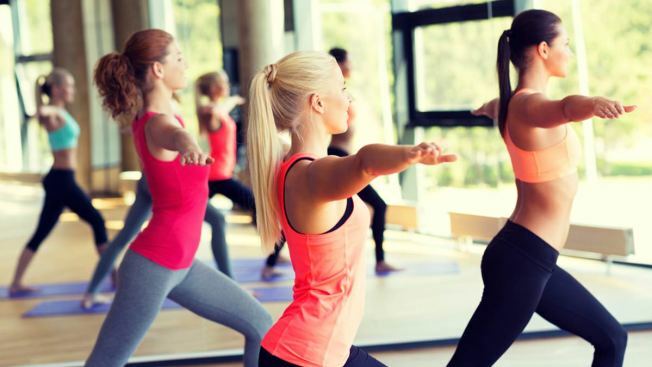 If you're in Northern Virginia, join Yelp Fit Club at Spark Yoga Mosaic for a barre class Feb. 17 or at Spark Yoga Arlington for aerial yoga Feb. 20. In Maryland, Zengo Cycle (Kentlands) is holding an intense but fun cycling class Feb. 20, and Sweetgreen's Bethesda location is hosting yoga. Check back to the Yelp Fit Club events listings daily, as they will continue to add more workout events regularly!